Airbags tend to fire in event of an accident, and not pop open as you're drifting, as seen in this video. 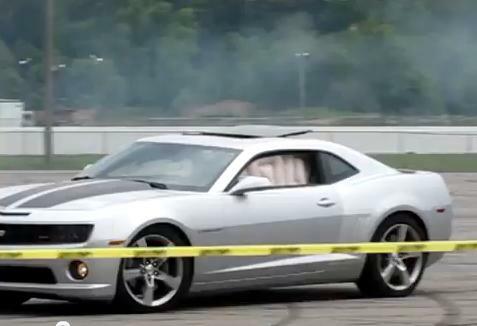 Paul Beiswenger was drifting the Camaro at the Milan Dragway in Michigan when the curtain airbags spontaneously erupted. While the driver is fine, his co-driver suffered some light burns on her right arm. And this isn't the first time airbags in a Camaro fired spontaneously, an editor for a magazine outlet was driving a Camaro SS on a racetrack, in a straight line, in Quebec, Canada last Autumn when the curtain airbags deployed.